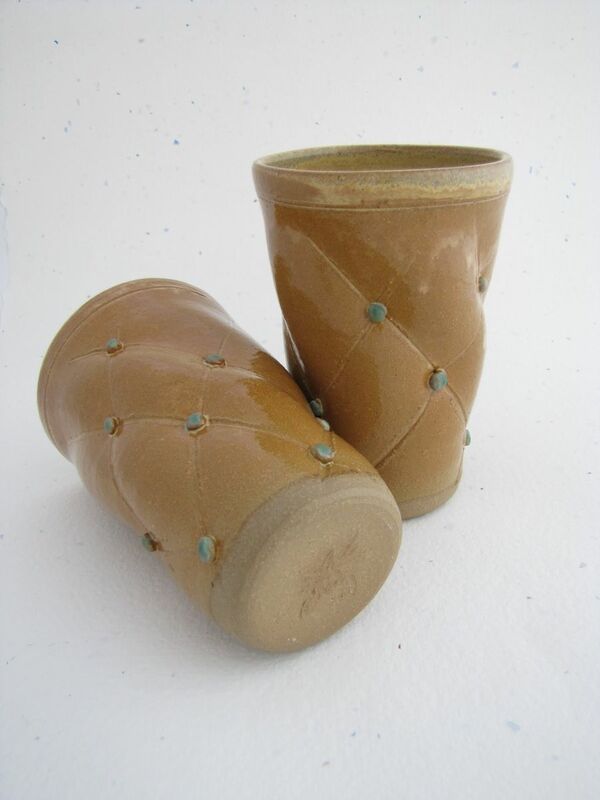 Hand thrown set of tumblers made from local stoneware clay and MSDS food safe glazes with hand altering. Each mug thrown with no molds or forms and individually hand altered to look like a pillow. They can be finished in a variety of glazes other than those pictured. Many colors available. Each tumbler fits in the dishwasher as well as the cabinet easy and can be nested two at a time together. Set can be made from 2-12. Dimensions: 5-6 inches tall. holds about 2 cups. sizes vary but sets are made to be as close as possible.